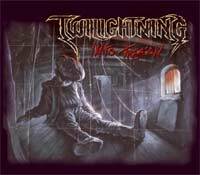 Twilightning was formed in 1998 in Imatra Finland. 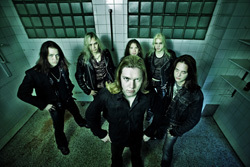 The original line-up consisted of four members: Tommi Sartanen (gtr.voc., songwriter), Ville Wallenius (gtr., songwriter), Jussi Kainulainen (b) and Juha Leskinen (dr.). In February 1999 the band recorded their first demo at Astia studios in Lappeenranta and due to that the they played a handful of gigs mostly in their home town. A few months later Mikko Naukkarinen joined the band as a keyboard player which resulted in approved live performance and enabled adding a new atmospheric dimension to song writing. The style and sound of the band was developing towards the present form as Twilightning recorded their second demo-CD "Affection Seeker" in April 2000. It was sold mostly in Finland and sent scattered places around the world before the Japanese company Disc Heaven wanted to buy all the remaining 200 copies of it. The group was doing more gigs including Nummirock 2000 festival and some smaller festivals in Finland. The year 2001 brought a major enforcement as Heikki Pöyhiä hit the line-up as a lead singer. Soon the band went off to record their third demo, called Return to Innocence, which received very good reviews and rouse the interest of record labels and got the band more publicity. The style of the band was taken to a more unique sounding combination of dynamic guitar work, catchy vocal lines, peculiar synth sounds and arrangements, hard driving drums and the mood of 80's hard rock. 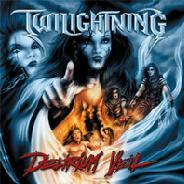 In November 2001 Twilightning signed a deal with Spinefarm records. The group continued performing and Tommi and Ville begun writing new material for the debut album. In September 2002 the band started the recordings of the album at Astia studio with Anssi Kippo, who also acted as a producer. The album was mixed by Timo Tolkki of Stratovarius at Finnvox studios in January 2003. At the moment the band is rehearsing for coming live shows and writing new songs. 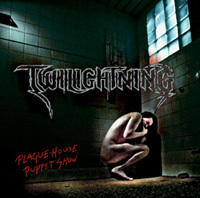 Their second CD Plaque-house puppet show came out in 2004 with a hit "Into treason". Band got little bit more success and that album was released also in Japan and the band made for that release their own version of Alice Cooper`s song Windy-up toy. In 2006 they recorded CDEP Bedlam. Before their next album Naukkarinen had left the band and they returned without keyboardist and band sounds like a different rockband in their latest CD Swinelords.